"Tai Chi Can Help Control Type 2 Diabetes"
LONDON: Tai Chi Chuan, the traditional Chinese martial arts exercises, could help curb symptoms of type 2 diabetes, according to a new study. The study suggested that Tai Chi might prompt a fall in blood glucose levels, or improve blood glucose metabolism, triggering a drop in the inflammatory response, reports the British Medical Journal. The findings of the study indicate that regular Tai Chi Chuan exercise improves T cell helper function of patients with type 2 diabetes mellitus with an increase in T-bet transcription factor and IL-12 production. T cells are a vital constituent of the body's immune system, which generate powerful chemicals, including interleukins (ILs), which alter the immune response. A Louisiana State University study found that people who had plantar peripheral neuropathy due to diabetes, after 24 weeks of Tai Chi classes enjoyed an increased sensitivity of the soles of the feet, greater balance, and faster walking speed. (Harvard Medical School Guide to Tai Chi. Page 118). Diabetes. A few studies, including one ramdomized trial, have reported improvements in blood sugar control following Tai Chi training. However, most of the more rigorous RCTs have not reported any apparent benefit of Tai Chi on glucose metabolism. (Harvard Medical School Guide to Tai Chi. Page 158)..
Harvard's Guide to Tai Chi emphasizes the importance of incorporating visualization/medtative experience with Tai Chi movement. Not all Tai Chi teachers incporporate this crucial element of Tai Chi. In our current classes, several of our students have reported on how their blood sugar levels have improved since beginning our classes. One student was on insulin when she started Tai Chi at the medical center, and is now off insulin entirely (note: do not make any medical changes in your therapy, but do discuss this research with your physician, as your Tai Chi may improve your blood sugar levels so your physician need to watch this, in case medication adjustments are needed). Another student in our program was poised to go on insulin, three years ago, when he had maxed out on three prediabetic medications, including daily injections. After a few months of Tai Chi Meditation, his physician began reducing his diabetes medications, including ending his daily injections, as his blood sugar levels improved. Another student had been on 50 unites of insulin 4 times daily upon beginning Tai Chi Meditation. He has now dramatically reduced his insulin intake. Again, no one should change medication levels, unless instructed by your physicians, but you SHOULD let your physician know you are practicing Tai Chi Meditation techniques to be aware your A1C levels may improve. A 12-week Tai Chi Chuan (TCC) exercise programme decreases HbA1c levels along with an increase in Th1 reaction. A combination of TCC with medication may provide an even better improvement in both metabolism and immunity of patients with type 2 DM. Diabetes: Tai Chi's stress management and increased circulation qualities make it ideal for diabetes. A Beijing University of Chinese Medicine and Pharmacology study found that blood sugar could be lowered successfully by doing Qigong exercises. 42.9 percent of patients in the study were able to take less medicine while having more staple foods. Nanjing University's study found that Tai Chi exercise helped to regulate metabolic disorders of type 2 diabetes mellitus with geriatric obesity by regulating the nervous-endocrine system in the body. * NOTE: World Tai Chi & Qigong Day advises consulting your physician before beginning any new exercise, herbal, diet, or health program. The resources provided here are meant only to be used to stimulate a discussion between you and your physician, health insurance carrier, etc., not as medical advise. The below mentioned books and resources on this site are hoped to stimulate a more robust discussion of powerful natural mind/body health tools in society and not as medical advice. 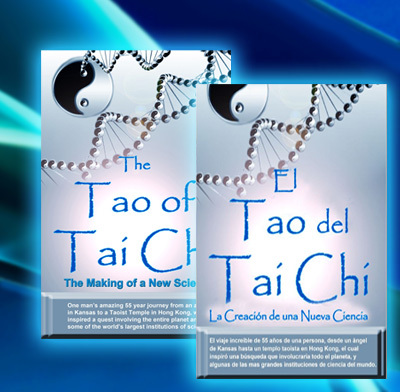 "The way of qigong: the art and science of chinese energy healing." Click to purchase this acclaimed best-selling Tai Chi book, with nearly 150 web-video support videos for the detailed text/illustration instruction as a "gift of health" for loved ones. A new paradigm in multi-media educational books. "Visionary! If you only buy one book on T'ai Chi, then this is the book. This book is all you ever needed to know to change your life. I have taught T'ai Chi for several decades myself, yet I have now read Bill's book from cover to cover seven times, and still get something new from it each time." "Sometimes Chinese culture can be difficult to explain. Sifu Bill Douglas successfully uses American culture to explain the art of T'ai Chi Chuan. He simplifies difficult concepts, making them easier to understand. 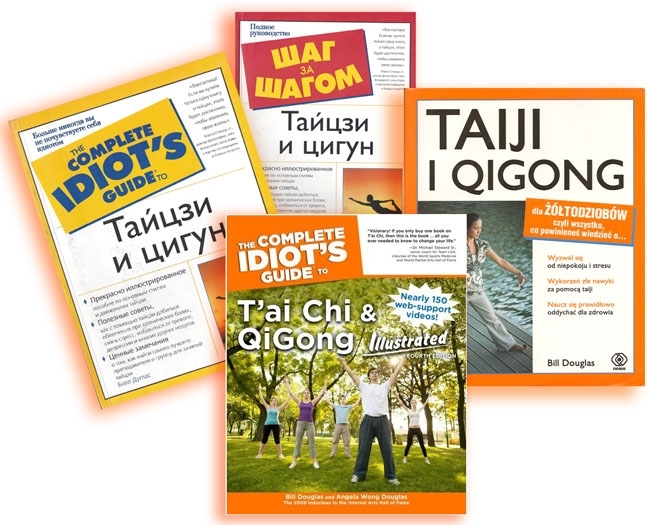 This book takes the best parts of T'ai Chi and makes them understandable [to Westerners] without requiring a grounding in Chinese culture and history." "Douglas has achieved for QiGong what Apple did for the computer. He's brought it to the people … great place to start for beginners. … Teachers may also find this an excellent manual 'on how to explain these concepts to the general public…'"
The new Harvard Medical School Guide to Tai Chi is a powerful reference book for all tai chi and qigong advocates, teachers, etc. The Harvard Guide cites WorldTaiChiDay.org's work in expanding global awareness of tai chi and qigong! Our efforts have exposed over ONE BILLION potential viewers/readers of mass media to Tai Chi and Qigong and its myriad health benefits, via our annual WTCQD worldwide events.